Your building’s HVAC system does more than keep temperatures consistent. It can impact productivity levels, safety, and energy bills – not to mention tenant comfort and happiness. The best thing you can do for your building’s HVAC system is invest in a preventative maintenance program. When you aren’t having regular, routine maintenance performed, minor HVAC problems become major repair expenses – and system failure becomes much more likely. 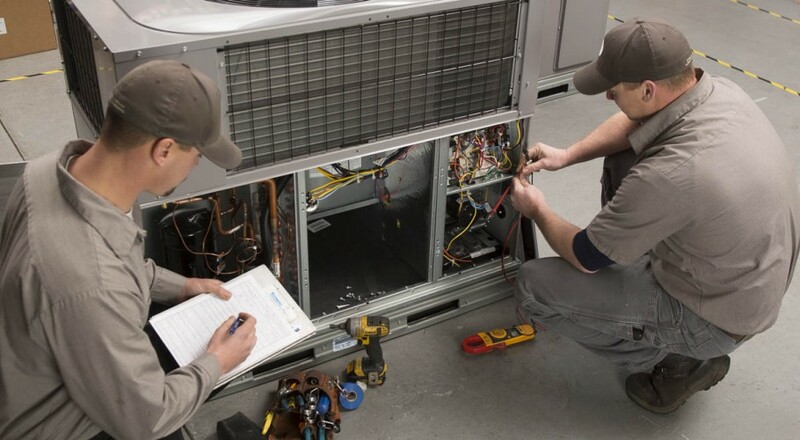 Regular checkups and service can prevent most HVAC performance problems because service technicians identify and correct issues that prevent your equipment from performing as designed. Dirty and worn filters can force your air conditioning unit to work harder, which increases energy costs and reduces the life of your system. Frequent monitoring and quarterly replacement of your filters will ensure optimal HVAC system performance. It will also improve the IAQ of your building by keeping dust, allergens, and other air pollutants at bay. Refrigerants are liquid agents that make air conditioning possible. Contained within the coils of an HVAC system, refrigerants cool and dehumidify indoor air. When your unit doesn’t have enough refrigerant, it can’t do its job and the air it produces is not very cold. This issue not only leaves the inside of your building too hot (with uncomfortable tenants), but it also causes the condenser to work overtime, leading to additional – and more expensive – system problems. When problems arise, it’s easy to assume the issue is with your actual HVAC system. You may be surprised to learn that it’s just as likely to be a problem with your thermostat instead. 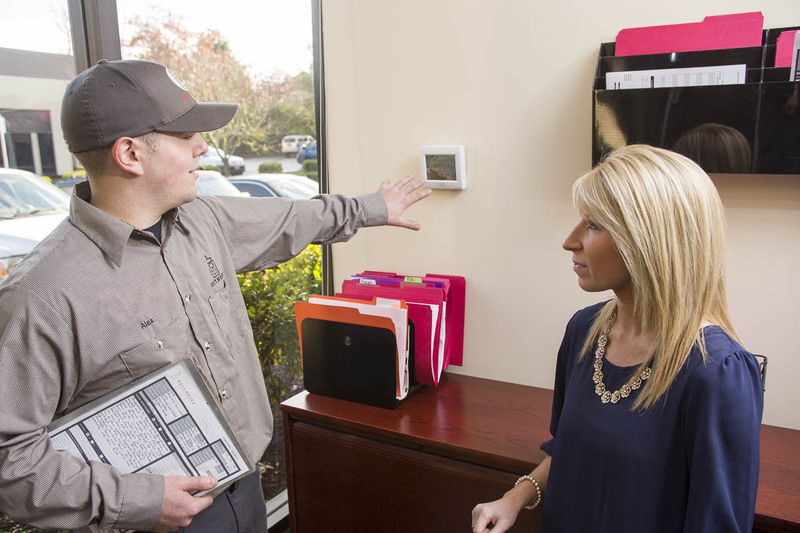 Your thermostat regulates the timing and amount of hot or cold air your unit should produce. So when your thermostat is malfunctioning, your building can suffer from intermittent temperature fluctuations, impacting your tenants’ comfort. The heated or cooled air that comes out of your vents travels through a series of ducts before it reaches each room. Dampers help control this by reducing airflow in one line and allowing more conditioned air to flow to other areas. In instances where some rooms cool or heat faster than others, it may be because the dampers are not balanced. By understanding where problems might originate in your HVAC system, you can take proactive measures to ensure it is in optimal working condition and avoid major problems before they occur. Being preemptive about your system’s needs can maximize efficiency, control unnecessary energy consumption and expense, and keep your tenants comfortable and happy. Are you experiencing trouble with your HVAC? Our skilled service technicians are here to help. Fill out a service request or give us a call at 503-603-0205.